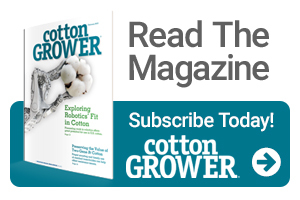 The National Cotton Council (NCC) supports the Trump Administration’s plan to assist U.S. farmers and ranchers impacted by retaliatory tariffs from China, noting that the support comes at a crucial time for the U.S. cotton industry. While the NCC encourages continued dialogue between the U.S. and China to resolve the trade tensions, the organization emphasizes the value of producer support to help partially mitigate the impacts of these tariffs on U.S. cotton, as well as additional funds for export promotion as the industry looks to expand markets for U.S. cotton. Details of the plan were announced August 27 by USDA. The plan includes three components to assist farmers and ranchers – a Market Facilitation Program, a Food Purchase & Distribution Program, and a Trade Promotion Program. For cotton, the Market Facilitation Program will provide $0.06/lb on at least half of a producer’s 2018 cotton production (upland and ELS). The payment rate on the second half of 2018 production will be determined later and may remain at the same payment level. Once harvest is complete, production evidence must be provided to the local USDA Farm Service Agency office before payments will be made. Market Facilitation payments are subject to the existing $900,000 adjusted gross income means test and a separate $125,000 per person payment limit for the eligible crops. NCC Chairman Ron Craft, a Plains, Texas, ginner, stated, “The National Cotton Council strongly commends Secretary Perdue and his team at USDA for their ongoing efforts to help U.S. agriculture manage through the current trade disruptions as the Administration seeks to address unfair trade practices and barriers. The tariff mitigation program announced today will help address a portion of the losses cotton producers are facing in the marketplace. Other commodities eligible for the program include soybeans ($1.65/bu), sorghum ($0.86/bu), wheat ($0.14/bu), corn ($0.01/bu), dairy ($0.12/cwt) and pork ($8/head).